I absolutely love your book! It has honestly been game changing in terms of my approach to lessons, student ownership, classroom set up, administration, grade partners and more! 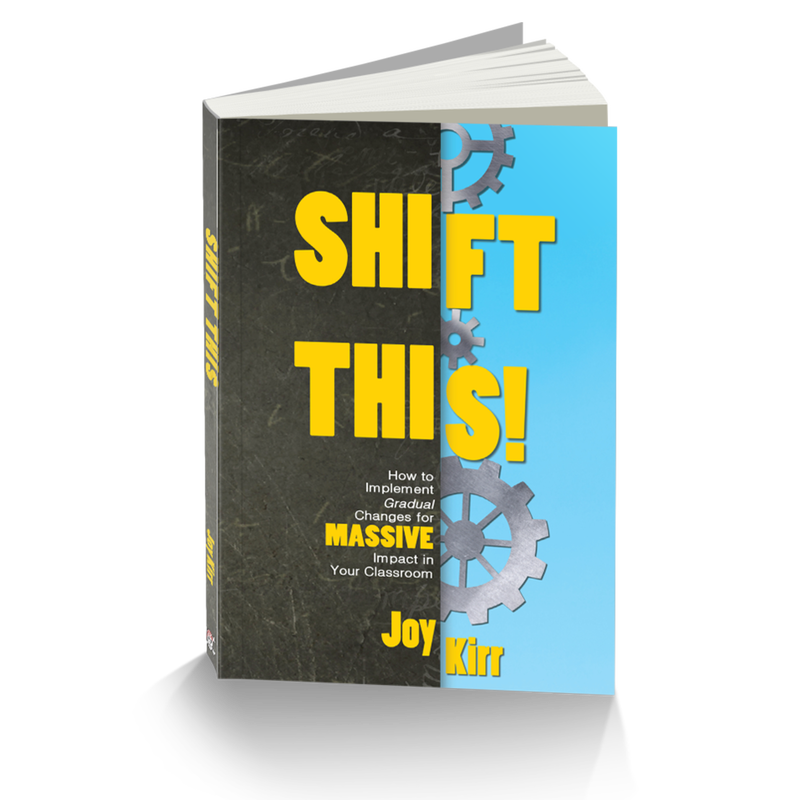 **Important Note** Some pirated copies of Shift This are now in customer's hands. If you receive a book with pages out of order from an Amazon purchase, this is a pirated copy, and is being sold illegally. Please contact Amazon to get your money back, and only purchase when it says the seller is "Amazon." 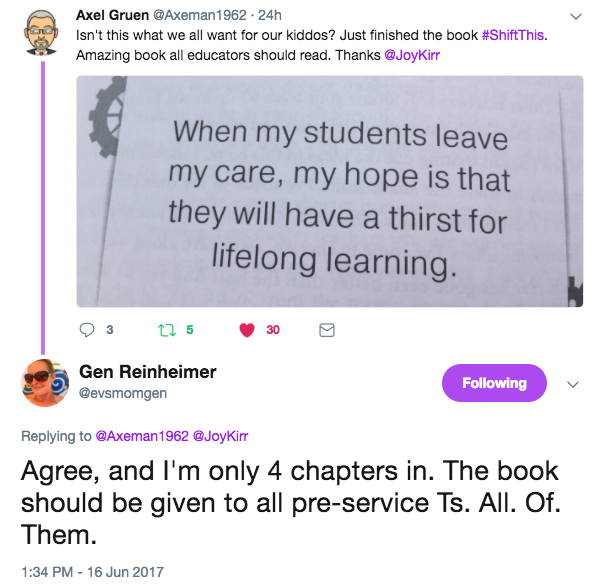 It all started when I gave students time to read - and then share what they were reading. Simple enough, right?! This was the catalyst that sparked the change in everything I did in the classroom. Four years later, you wouldn't recognize my classes. I don't decorate the room, student choice is ubiquitous, we have time built in to personalize learning, students teach each other, and we use feedback in lieu of grades. Join me as I share valuable lessons learned when I dedicated time during the week for students to learn what THEY wanted to learn. Choose a one-hour keynote or a three-hour workshop. Why would anyone want to mess with current grading systems? 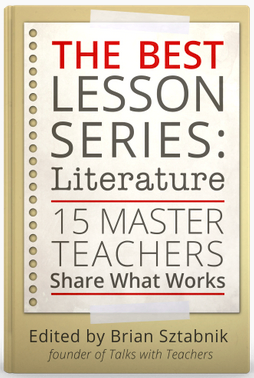 Begin by learning the reasons WHY I went from typical grading to feedback only in my own classroom. Stay only if you want to learn ways HOW you can try this with your students, and stay even longer to work on ways you can give feedback only using a traditional grading system. I'll continue this way until my district adopts Standards-Based Grading. Social media has a place in your classroom, no matter your age or how busy you are. Whether you only lurk or explore, or whether you’d like to connect with classrooms and experts via video conferencing, social media is your ticket! The tool we call Twitter is a great place to start. Learn how to create an account, “follow” without following, and share and connect. Go a step further and get your students involved so you can help teach them how to navigate the massive waters of social media. What's the Hoopla Over Personalized Learning? What's the big hoopla over Genius Hour and other forms of student-directed learning? Why hand over precious class time to the students? This session focuses on the many reasons WHY you should make time for student-directed learning in your classroom. If you are armed with the reasons why, you'll have no choice but to jump in yourself. Hold on tight for the journey ahead, and the shifts that will ultimately transform the rest of your teaching career! Why take time out of your curriculum for students to own the learning? You'll have time during this workshop to hammer out reasons WHY student-directed learning such as Genius Hour is vital. Time will also be used to explore comprehensive resources and create a plan for your classroom or school so students can pursue their passions. We'll figure out specific ways to tackle any obstacles together. ​ ​or... contact me directly. Connect with me, and I'll answer your readers' burning questions from the book! See some of the presentations Joy has given - HERE.